Applicant takes a 10-minute assessment based on behavioral science. 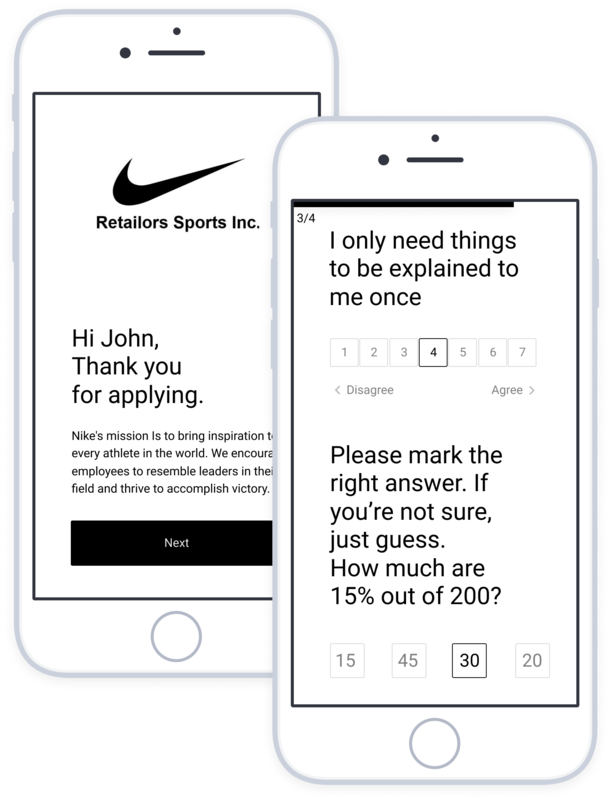 Test includes only questions with high-predictive power to support a seamless hiring experience for applicants. Recruiter gets a detailed report regarding applicant's predicted fit and retention. The report includes recommended interview questions to help you dig deeper into applicant's strengths and weaknesses. Employees' performance data is continually streamed to our AI system and used to improve the recruiting process and its predictive power.